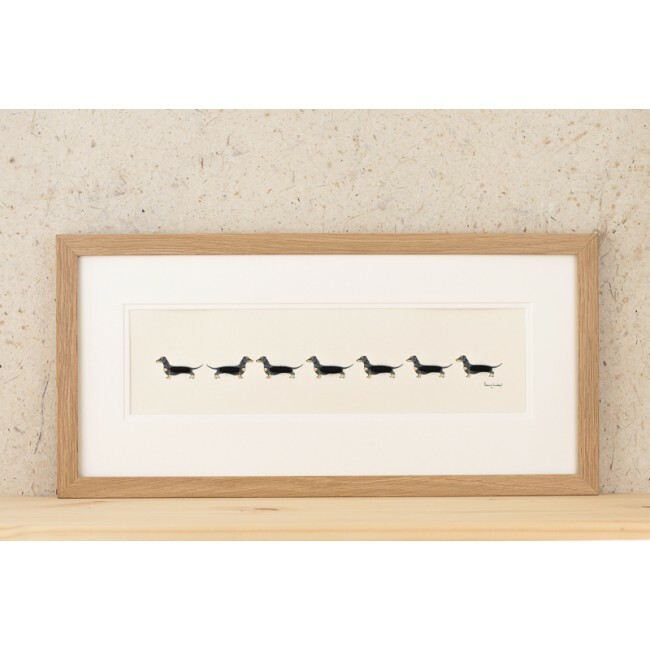 Celebrating the popular cheeky little dachshund, our long row of dachshunds print will put a smile on your face if this is the breed for you. 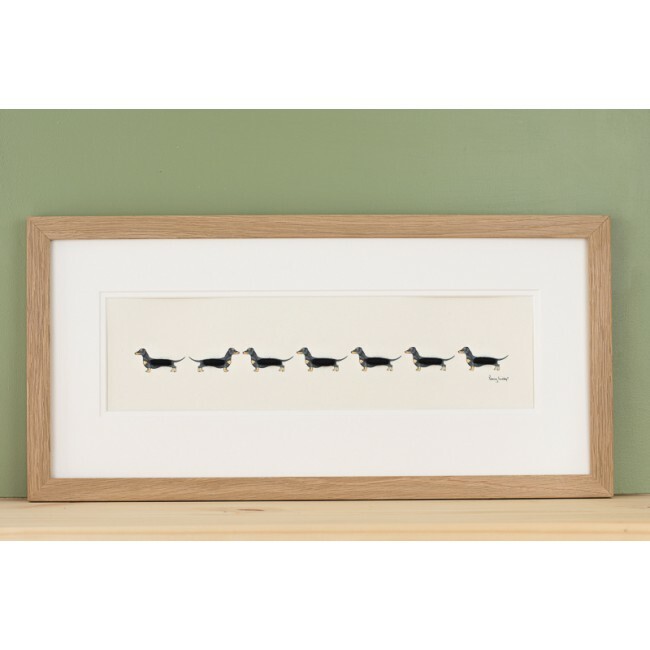 The dachshunds are all hand finished with woolly bodies in our Norfolk studios, using real sheep's wool. We print on a beautiful acid free archival quality paper made in the UK. 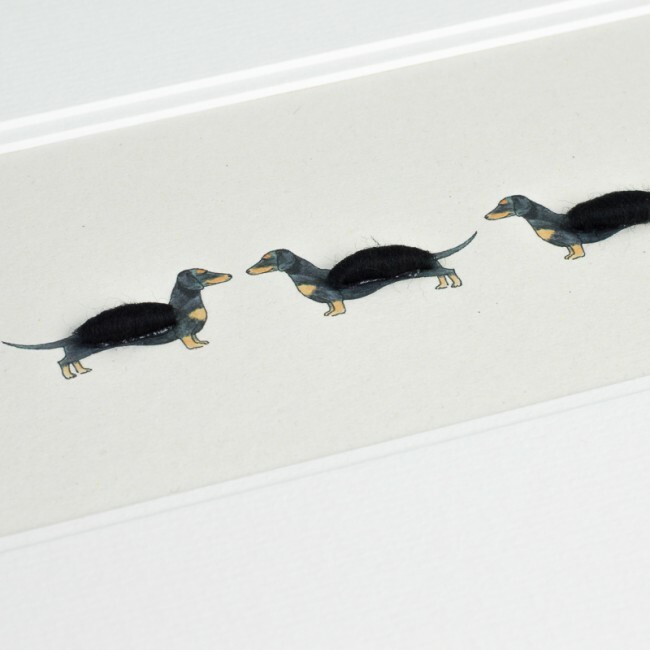 It's a quirky size to suit the quirky art, and to suit a longer thinner position. 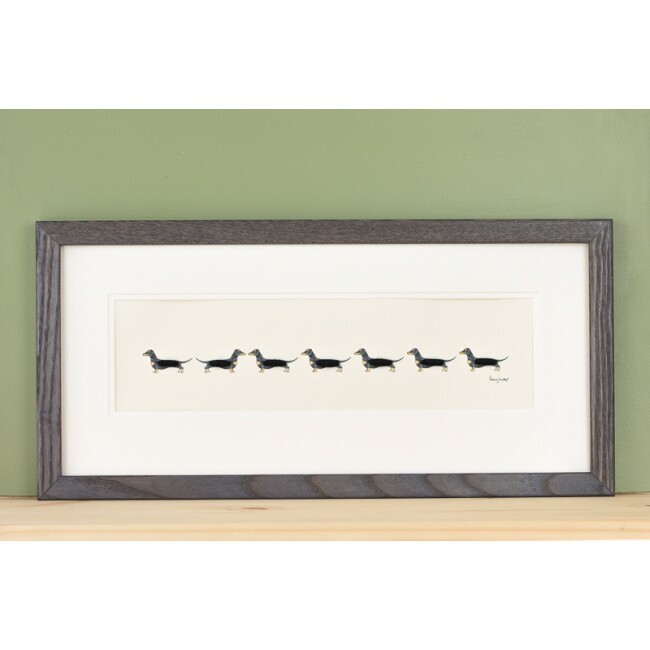 It could look great above a fireplace, or in a long hallway. 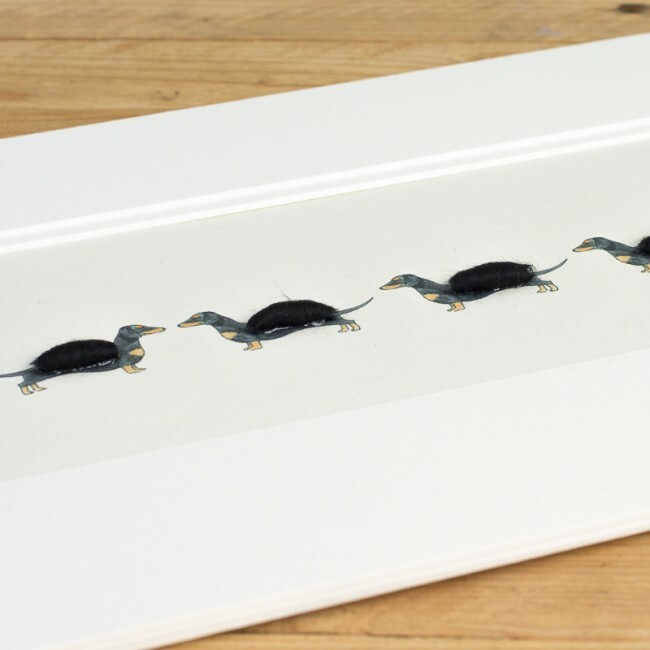 It is supplied in a conservation quality double mount, which really adds an extra touch of quality to the finished print. Wrapped in cellophane for it's protection, and is ready for framing. Mounted picture size is 490 x 220mm. This is the inside frame measurement and is not a standard frame size. 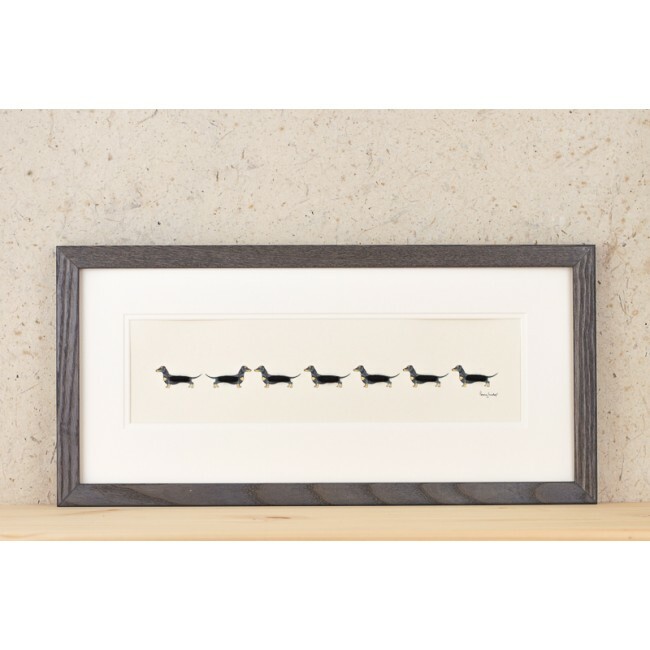 But don't worry as are very happy to frame the print for you in our natural oak frame or our charcoal grey stained ash. 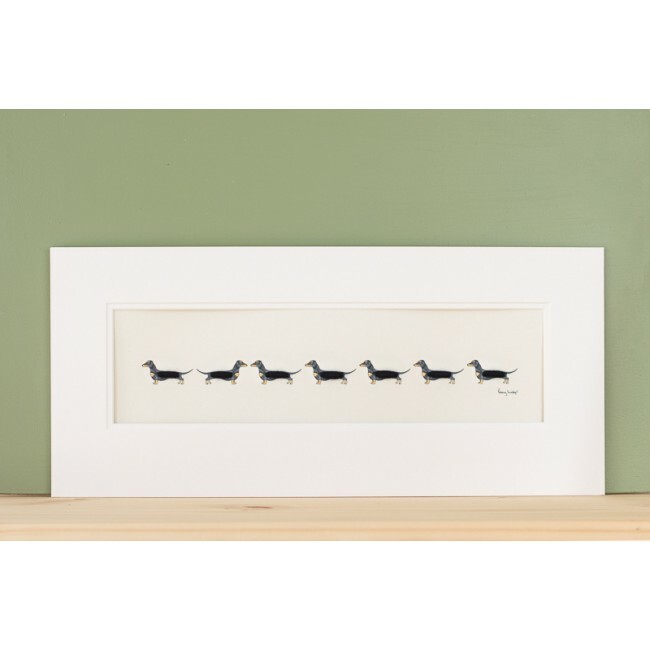 Both these mouldings have a simple plain profile and will enhance the artwork. Please note that we do not offer a framing service for international orders.